Inspired by the atrocities committed during World War II, social psychologist Stanley Milgram conducted experiments into the dangerous power of blind obedience in 1961. These saw a variety of unwitting participants tasked with administering a series of increasingly dangerous electric shocks to a stranger under the instruction of an authoritative force. Writer-director Michael Almereyda's Experimenter tackles Milgram's (Peter Sarsgaard) life from 1961 onwards - exploring the process behind these tests, the public backlash to them, and Milgram's relationship with his wife Sasha (Winona Ryder). Almereyda's film is filled with a self-aware imagery as it briskly recounts Milgram's life and experiments with a surreal whimsy and energy. Black and white backdrops and ramshackle moving scenery, paired with amusing visual triggers (like the 'elephant in the room' literally wandering into shot) and bouts of fourth-wall breaking dialogue - all ensure that this is a stylistically unique watch. Paired with a narrative that cares little for chronological order, Experimenter has a breezy handmade feel that engagingly pays tribute to Milgram and the period setting. Much of Almereyda's narrative is devoted to the initial 1961 Milgram Experiment which is recounted with tense dramatics and an unsettled focus as we see many a participant gleefully electrocute another man (or so they think). The results of the test continue to be shocking and deeply relevant to today's society (catch Craig Zobel's chilling Compliance to see this carried out in a contemporary fashion). Almereyda asks us to think about what we would do in this situation - of course we would like to think that we would refuse to harm the other participant, but the wry Milgram is sure to raise some doubts in your mind. It is this horror at the cruelty we are all capable of that prompted the backlash to Milgram's experiments. Almereyda captures the public backlash and moral outcry surrounding the results - exploring the facade of feigned anger at our own human nature - whilst also detailing the boost that this gave to Milgram's professional persona. The film's light emotional backbone is crafted through the well-pitched dynamic between Stanley and Sasha, with Sarsgaard and Ryder consistently convincing as the ever-in-love couple. There is much to enjoy here with the highlight of the film's final act showcasing Milgram's mainstream success at its peak when his work is translated into a TV Movie starring William Shatner and Ossie Davis - dubbed The Tenth Level - featuring amusing cameos from Kellan Lutz and Dennis Haysbert. Sarsgaard brings an icy cool and clinical professionalism to the role of Stanley, whilst Winona Ryder shines as the strong-willed Sasha. A plethora of cameos from character stars like Anton Yelchin, John Leguizamo and Taryn Manning ensure that there is always something interesting happening on screen. 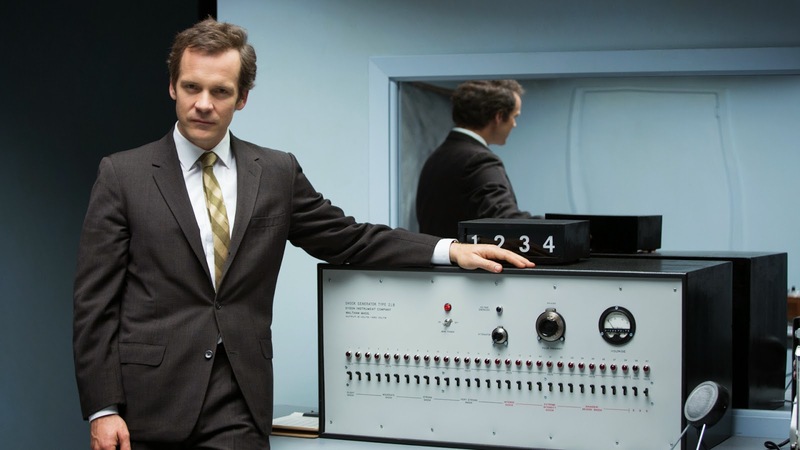 Experimenter is a visually and thematically engaging piece of cinema that acts as a fitting tribute to Milgram and a startling reminder of the power of his findings.